Miniature Maven Diaries: The new AIM magazine is here! This magazine is such a fantastic resource. Talented artisans from all over the world write articles for the magazine. It's jammed packed with great articles, projects, and interviews with AIM members. 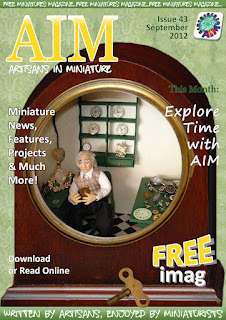 Head on over to www.artisansinminiature.com to print, download, or read the latest issue.